This wedding votive candle holder features a pair of autumn leaves with your own message printed on it, present them to your guests and make your wedding more memorable or use them to decorate your tables. The font used for the text on the candle holder as shown above is Bodoni Classico Bold. Like this wedding favor? You can personalize it with your own wording and details at beau-coup. Other fonts, designs and colors are available. 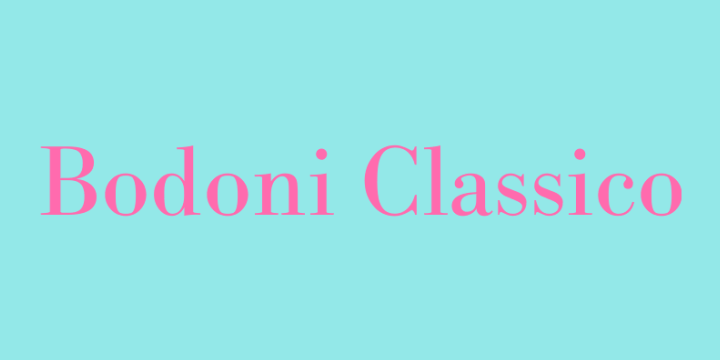 Bodoni Classico is a typeface designed by Franko Luin based on the classic Bodoni, which highlights extreme contrast between thick and thin strokes, hairline serifs without bracketing. Compared to Bodoni, Bodoni Classico has thicker thin strokes and these strokes hold up well at smaller point sizes, making it a good choice for text or captions in wedding invitations.You can buy and download Bodoni Classico at Myfonts.